- Publisher How to have a closer relationship with the Father that will bring renewal and revival. When the Church seeks to have a close relationship with the Father as Jesus did, it will experience more strength and power than ever before. 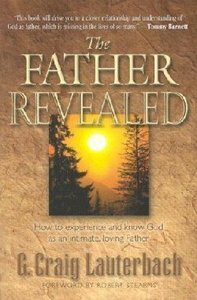 Craig's honesty and vulnerability plus his ability to accurately hear a vital word from the Father will cause you to seek an intimacy with God the Father that you may never have thought possible. This message has the potential of changing the entire focus of the Church and the lives of the society around us. - Publisher How to have a closer relationship with the Father that will bring renewal & revival. A fresh word that can forever change our lives, the Church, and society. How to have a closer relationship with the Father that will bring renewal and revival. When the Church seeks to have a close relationship with the Father as Jesus did, it will experience more strength and power than ever before. Craig's honesty and vulnerability plus his ability to accurately hear a vital word from the Father will cause you to seek an intimacy with God the Father that you may never have thought possible. This message has the potential of changing the entire focus of the Church and the lives of the society around us. How to have a closer relationship with the Father that will bring renewal & revival. A fresh word that can forever change our lives, the Church, and society. G. Craig Lauterbach has been in ministry for 24 years, pastoring and speaking throughtout the world. He lives in New Jersey with his wife and Four daughters.